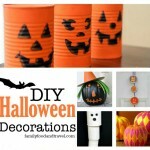 Looking for a fun and easy craft? 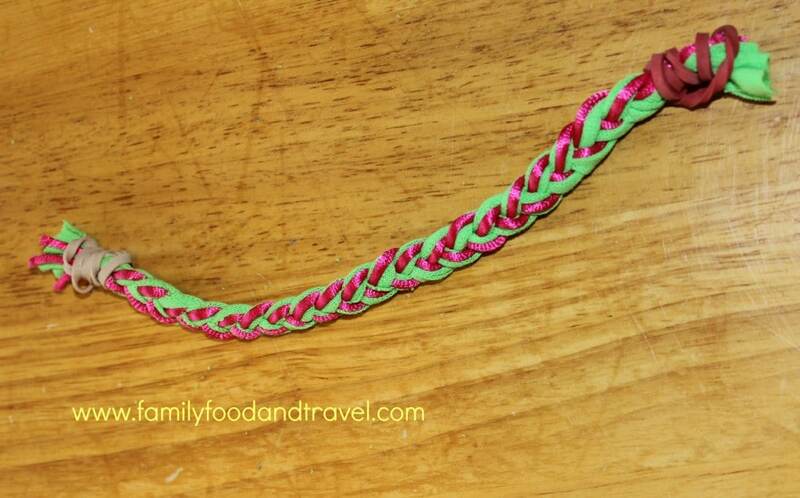 Try making a t-shirt bracelet. This t-shirt bracelet is made from new or old t-shirts cut into strips and braided with a colored cord. A fun, easy, upcycle craft. I found this bracelet one day when I was searching Pinterest for bracelets. I loved the idea of using an old t-shirt and creating something that was fun and fashionable. 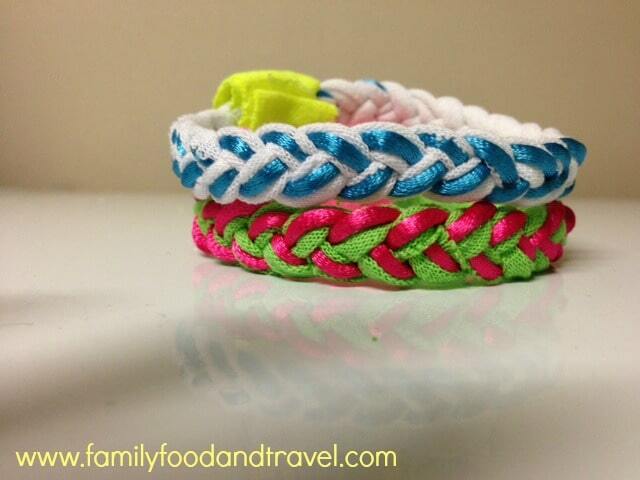 There are LOTS of t-shirt bracelet tutorials on the web, all with fun variations and themes. I chose this one because I loved the cord braided in and the magnets seemed like a great idea. My plan was to make the bracelets with a group of friends. Yes, I had to buy new scissors. I deemed the old ones I have at home incapable of cutting fabric with any sort of precision! 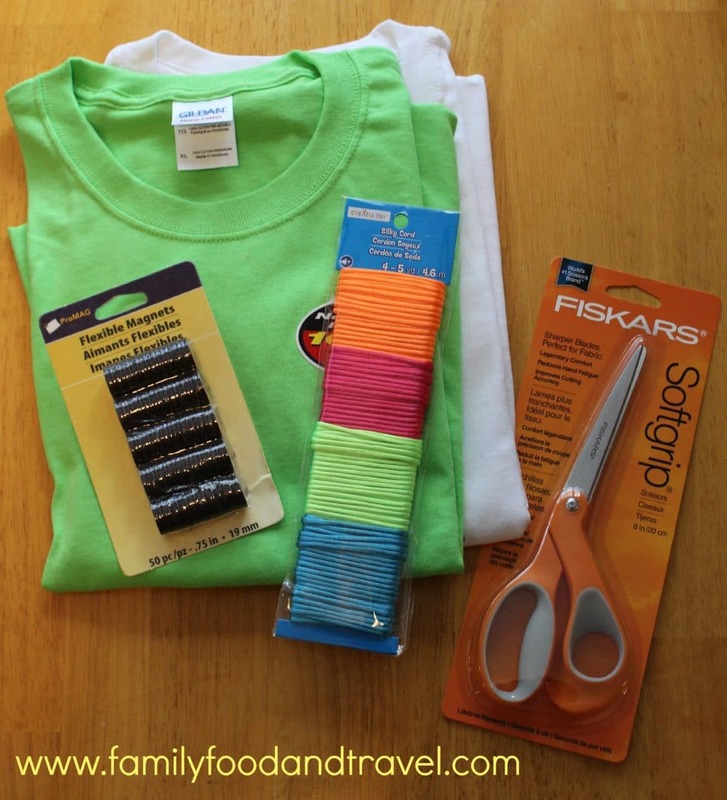 Cut t-shirt into 1-inch strips about 15 inches in length (you will need 3 pieces). Step #1 – attach the pieces of cord and t-shirt strips together with an elastic or tie a piece of string. 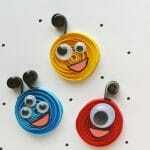 Step #5 – hot glue gun the ends to a magnet – remove elastics or string once cooled. Step #7 – marvel at how easy this was! 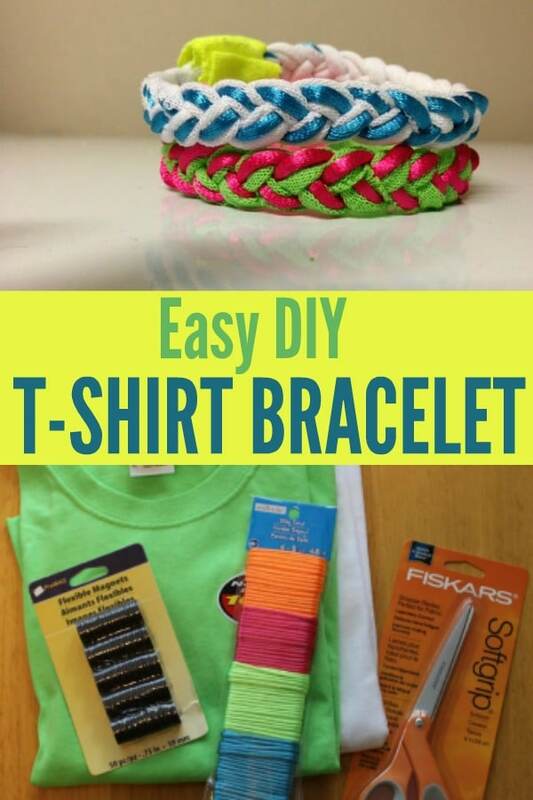 Head to your closet and grab some t-shirts you aren’t wearing to turn them into fun bracelets. A great camp activity for tweens and teens. Love this craft idea? 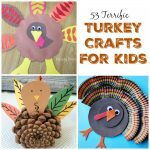 Why not check out our crafts for kids, paper tube owls, DIY Necklace Organizer or learn to do paper quilling. Or, try making this beautiful paper animal silhouette. They are very cute (and affordable, hehe). Love this! I am kicking off a ‘green’ blog next week, and always in search of ideas for recycling/repurposing stuff like this. I always have fabric scraps around, this would be a great use for them. Thank you! It would be a great way to use material around the house. amber whitehead recently posted..The Look..You Know the One ~ Strong Moms Empower! This would be a great way to celebrate team colors, or mix them for houses that are divided on which teams to cheer for (like our house, lol). 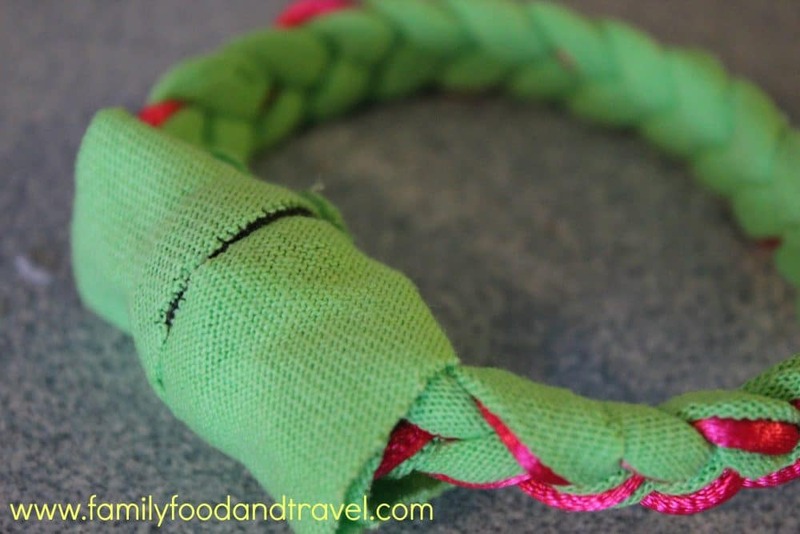 What a super fun and easy craft to do with kids! 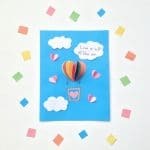 Thanks for sharing :) You should come link this up today on our Artsy Play Wednesday linky!